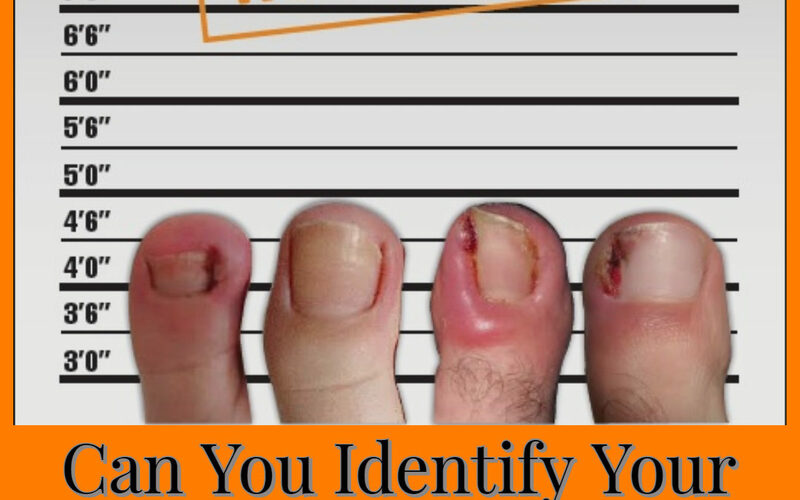 Can you identify your ingrown toenail culprit? For such a seemingly little thing, the pain from an ingrown toenail can be unbearable. The simple act of putting on a sock, or even the weight of your bed sheet can make you cringe in agony. Infection also typically goes hand-in-hand with ingrown toenails, and depending on your overall health, this can be a dangerous occurrence. Ingrown nails are caused by the edge of your toenail penetrating the skin around it. A wound develops and, if left untreated, the nail continues to embed itself into the wound. The inflammation and infection causes the skin to swell, which further forces the nail deeper into your flesh. This process can be caused by an inherited nail shape, ill-fitting footwear, socks, or compression stockings, trauma, or most commonly, improper nail cutting. Once an ingrown nail has been diagnosed, it is generally simple to treat. A chiropodist will gently remove the offending piece of nail from the skin, clean and dress the wound, and instruct you on proper care of the area. If it is really painful your Chiropodist can offer you a local anesthetic injection to help ease your pain, but it is often not necessary. If your ingrown toenail recurs, your Chiropodist can treat it permanently with a minor procedure to discourage the nail from regrowing. Under local anesthetic to numb your toe, your Chiropodist will remove part of your nail (or in rare cases the entire toenail) and apply a special chemical that helps prevent regrowth of the portion that was removed. If you are not able to obtain professional help from a Chiropodist immediately, warm salt footbaths and application of a topical antibiotic ointment and bandage can ease your discomfort and control the infection. Those who suffer from diabetes, or any condition that results in a compromised immune system, should seek medical attention immediately as an infected ingrown nail can quickly cause a limb or life-threatening situation. If you think you may be developing, or know that you have, an ingrown toenail, we can help! A Chiropodist at We-Fix-U will assess the cause, treat the problem, and instruct you on the best way to prevent this very painful foot condition from ever occurring again.